Chinese herbal medicine is part of a comprehensive system of health care, known as classical Chinese medicine (CCM), that dates back over three thousand years, making it one of the oldest systems of medicine in the world. Today, Chinese herbal medicine is used as a natural therapy to treat a wide range of acute and chronic health issues. Although many people are more familiar with acupuncture as the most recognizable aspect of CCM, Chinese herbal medicine is a commonly-utilized and powerful therapy that is also capable of correcting mild to severe imbalances in the body. The particular classical herbal lineage used at The Fountain has over eighteen hundred years of direct empirical, clinical data supporting its effectiveness and safety. It was developed at a time when people were vulnerable to many diseases and imbalances, much like today, but relied on Chinese medicine as their sole channel of healthcare. This resulted in the development of a clinical science capable of treating a wide range of internal medical conditions that are common to this day. Thus, with this herbal science, we have a very safe and time-tested way of treating patients with a natural medicine that evolved with the earth, and has functioned symbiotically alongside human civilization for millennia. When having an herbal consultation at The Fountain, the practitioner will look for palpable, tangible evidence during diagnosis that calls for a particular formula, in addition to using information from the patient health history. This results in a very specific diagnostic direction that is individualized to each particular patient and their presenting picture; each herbal formula is specifically matched to treat the patient’s body ecosystem. As a patient’s condition changes and improves with treatment, the Chinese herbal treatment is also adjusted and modified until the desired health outcome is achieved. Chinese herbal medicine is a powerful and safe complementary modality to look at when considering your healthcare options. As something that has evolved over millions of years, plant substances are highly complex and balanced, and very unlikely to cause side-effects when prescribed by a trained professional. Herbal formulas are also typically prescribed with several herbs in combination in order to enhance and direct the therapeutic action of the formula. Each herbs influences, and to a degree restrains, the properties of the other herbs. This creates a balance and synergy that increases the intended function of the formula and enhances safety. The Fountain uses only the highest quality Chinese herbs available for purchase by licensed practitioners. The herbs we use pass rigorous testing by experts in chemistry, microbiology, and Chinese medicine, and obtain a Certificate of Analysis (COA) to guarantee the highest quality product that is safe and effective. 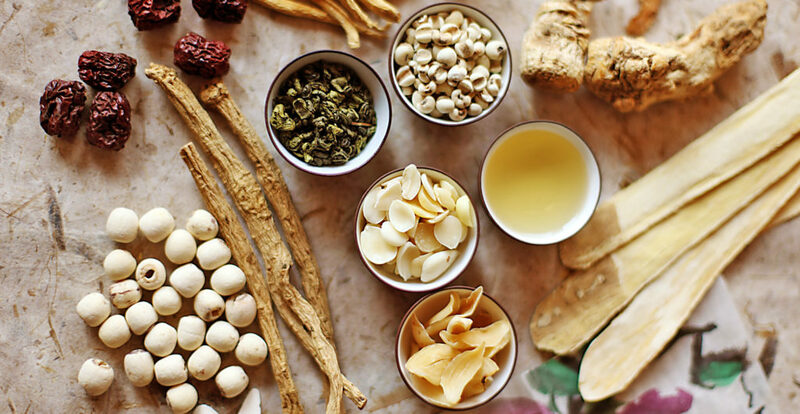 Do not hesitate to inquire about the safety of Chinese herbs to your practitioner.